Last March, we embarked on our most ambitious plan yet to inspire and inform people about the power of link data by partnering with California-based Made In Space to print a 3D Data Visualization of the Internet on a 3D printer on the International Space Station two hundred and fifty miles above the earth. The reception we got about the #MajesticInSpace Project was nothing less than astounding. On Twitter alone, we reached six million people with the news and generated over eleven million impressions, and that’s before eighteen major publications like The Daily Mail, Geekwire, Search Engine Land and Mic.com took up the story for us. Today, we’re delighted to tell you that our slot to print the “Majestic 3D Internet Link Profile” (its codename for the astronauts) is coming up sometime in late September. The guys at Made In Space have created five test replica prints (see photos above and our unboxing GIF) on their earth-based 3D printer (or AMF – Additive Manufacturing Facility – as they call it) and have told us that NASA has given final approval for the print. 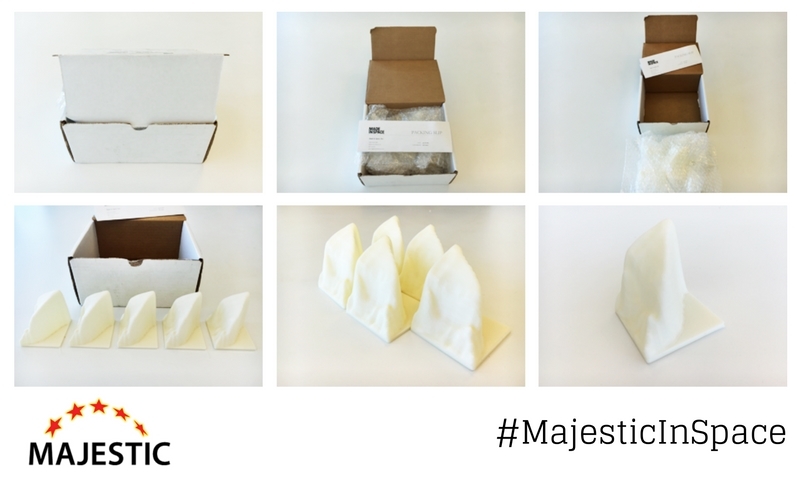 Majestic.com is essentially a privately-owned search engine. It has a network of computers that crawl the internet and creates a map of how all the websites across cyberspace link together and relate to each other. 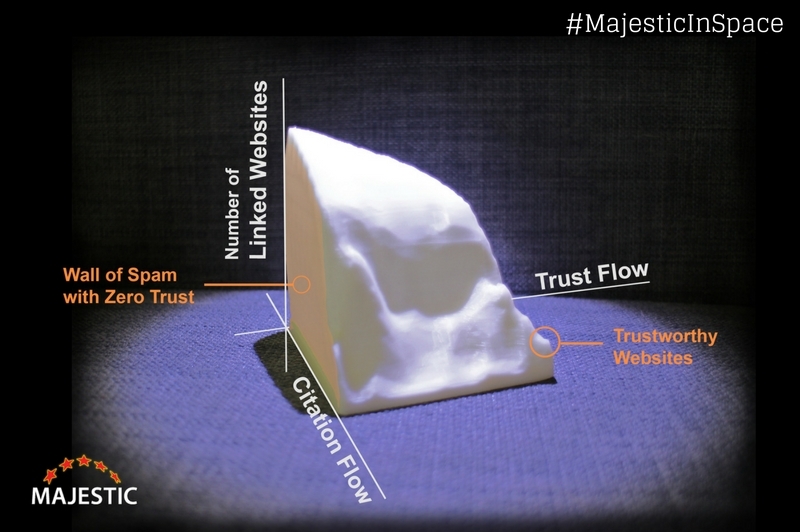 The 3D print we’re creating on the International Space Station not only shows a data visualization of the number of websites live on the Internet today but also how many of those sites are trustworthy and are likely to see any significant visits from earthlings. From our calculations, 94.8% of the one billion websites on the Internet have a Trust Flow score of zero, probably never see any traffic and are certainly never going to be found on a search engine like Google or Bing. Soon we’ll be sharing some fun ideas from friends in the industry as to what they would 3D print in space and why. @MelCarson – Majestic Brand Ambassador for the USA.